We invite you to taste the blowfish cuisine, that we dig and make all the deliciousness of fugu. the fresh taste of Torafugu-tei with family. with your families(children) for meals, celebrations,annd also legal requirements. Fresh Tora-fugu stew as the boast of Torafugu-tei, cooked with carefully selected ingredients ordered from various places, please come and enjoy. to approch these three chactors. 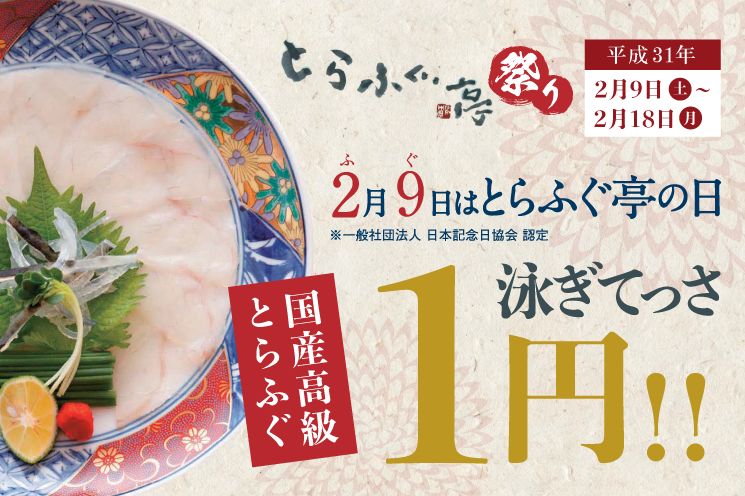 "Torafugu", which is a sticking of the Torafugu-tei, delivered directly from the production area to each store as "swimming", so that you can enjoy the best deliciousness of distinctive dishes, regardless of region or season. All the stores have a water tank, and professional Fugu craftsmen with solid knowledge and experience. 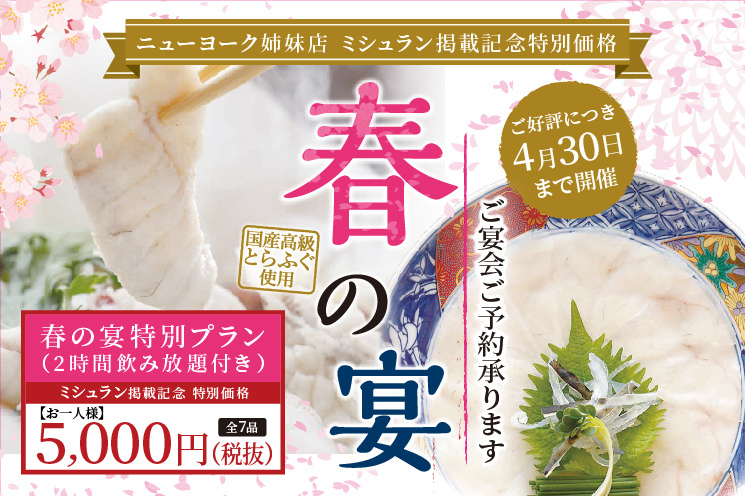 You can enjoy delicious [Torafugu] from near your any restaurant. 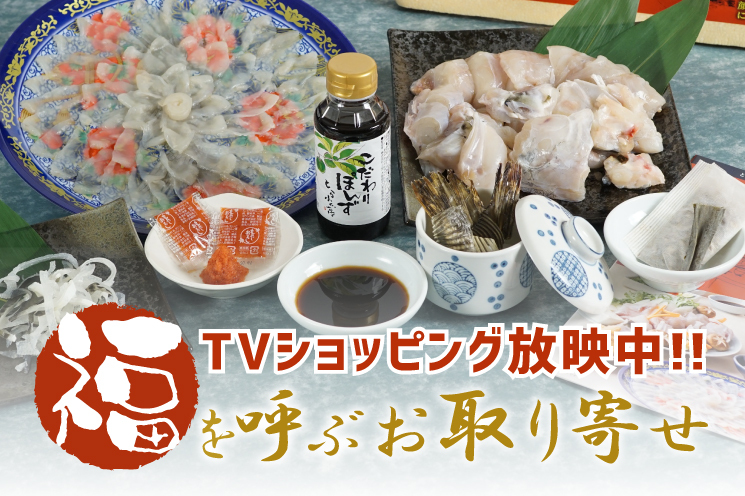 "Tokushima's natural certious" "Uoshima-made Koshihikari" "Tujishima's salt" "Fukushima prefecture Aizu local egg" such as stubbornly selected carefully ingredients are boasting top brush. The fishery in Hirado Nagasaki prefecture that cleared the harsh conditions, we brought up carefully as "food safety" firstly. Professionals put their all efforts to raise high quality and safe domestic Fugu. We will consistently carry out from production to processing and delivery in our own group, with thorough quality control, we are able to efficiently deliver the appropriate amount to each store at the optimum time, and setting the most reasonable price .